used as a construction material, and sometimes as a production item. sand & lime can be used as a substitute in the process instead of clay. 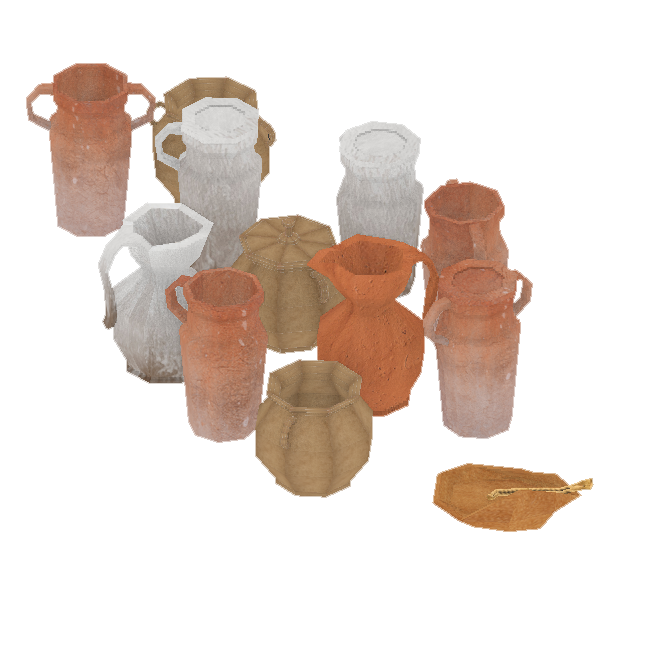 stored in a barn, utensils & goods limit (custom0).